A new report from the Migration Policy Institute documents record levels of spending on immigration and boundary policing. Often justified in the name of protecting children, the "border wars" and the diversion of billions of dollars to fund them, not surpriingly, prove ultimately to be quite harmful to children in myriad ways. In doing so, he made clear that his expression of love was not limited to his biological children. Referring not only to the young people killed in the Newtown elementary school, but also to those slain in “a shopping mall in Oregon or a temple in Wisconsin or a movie th Credit: www.newsone.comeater in Aurora or a street corner in Chicago,” he asserted that “These neighborhoods are our neighborhoods, and these children are our children.” In other words, love at its best can and should be expansive, not confined by the boundaries of space and time. While certainly costly to immigrant families and communities, the deportations also exact a high financial cost to the federal government—as does the larger apparatus of immigration and boundary control. 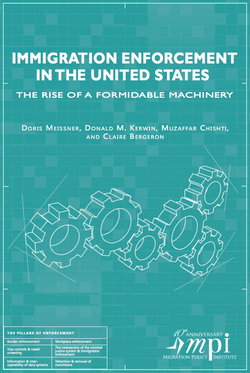 According to a report issued earlier this week by the Washington, D.C.-based Migration Policy Institute and that garnered considerable attention, the budget of what it characterizes as a “well-resourced, operationally robust, modernized enforcement system” has reached record levels. In Fiscal Year 2012, spending on U.S. Customs and Border Protection (CBP), the parent agency of the Border Patrol, Immigration and Customs Enforcement (ICE), and a biometric tracking system called U.S.-VISIT totaled almost $18 billion. This staggering sum is approximately 24% greater than the combined budgets in the last fiscal year ($14.4 billion) of the FBI, Secret Service, the Drug Enforcement Agency (DEA), the U.S. Marshals Service, and the Bureau of Alcohol, Tobacco, Firearms and Explosives (ATF). 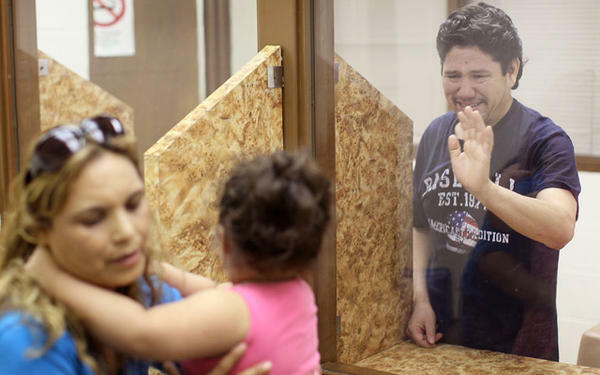 Whatever the merits and demerits might be of such an initiative—one that ICE frequently touts in its extensive public relations efforts—the resources that go into it pale in comparison to those invested in breaking up families via deportation. 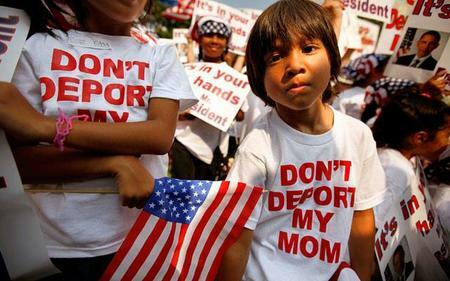 Nonetheless, DHS uses endeavors such as Operation Predator to mask how it polices families and children. Recently the drug war took a new turn in Presidio County. There, the U.S. Border Patrol began inspecting school buses in the area for contraband when they pass through the agency’s highway checkpoints. Previously, school buses had been exempt from such inspections, but the Border Patrol changed its policy after almost 500 pounds of marijuana were found hidden on a bus. The Border Patrol has promised to undertake the inspections in a careful manner, and not to ask students about their immigration status. “Our objective is the safety of the children,” Chief Patrol Agent John Smietana told a meeting of local school officials. The federal government has seemingly endless amounts of resources to police and “protect” children—but only in very select ways. This in a country where about 16 million children live below the poverty level. 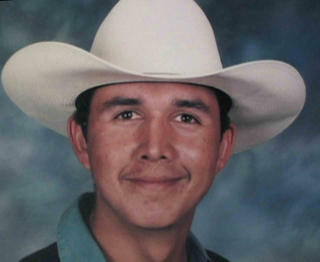 More than 15 years after the tragic killing of Esequiel Hernández, Washington’s misplaced priorities have become only more pronounced. How the ruling class effectively defines the boundaries of the well-being of children has become increasingly narrow and harmful—in Redford and throughout the borderlands.